Skeptical of sound quality and fit. Earbuds hurt my ears when I'd wear them too long. We'll see! Annie_8plus, calebt and eyecrispy like this. Let us know what you think of them when they arrive and after you’ve tried them out for a bit. Great choice. I love mine and use them daily. They fit great in my ears and stay there on my walks and bike rides. I really didn't think I'd like them not completely sealing my ears like the rubber seals do, but I found I really like still being able to hear some ambient sounds, like cars, when riding my bike. Love mine. One or both are in my ears from morning till evening once I get home. Very comfortable and good sound quality. I have used them numerous times to the gym with no issue. bamf-hacker and trw1602 like this. I was skeptical like you and have not regretted my purchase. I use mine every single day .... even running. I’m surprised I’ve enjoyed them so much, honestly. Mine are a daily driver for me! I was skeptical about the shape/material (I have never even taken the Apple earbuds out of the box for any phone I have), but they are very comfortable, and I generally have one in my ear for 8-10 hours a day (I only ever listen to one at a time, and just switch back and forth as the battery dies). I might be mistaken but it is my understanding that the sound quality of the AirPods is the same as EarPods so you’re spending the $160 for the absence of the wire. I think they have a few more features than Earpods, other than wireless. But you're probably right about the sound quality. 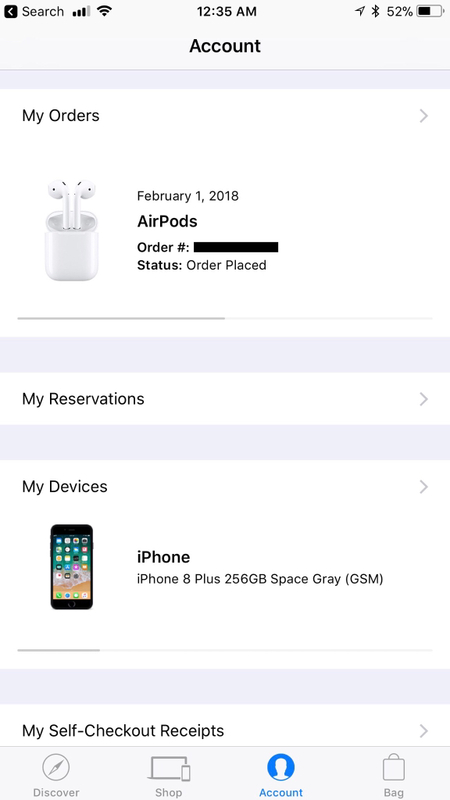 I know a mod on another forum who said he had a pair of $15 Bluetooth earpods that sounded as good as the airpods, just didn't have all the bells and whistles. Hope you like them, I'm not into anything sticking in my . I use them more often than I did the wired ones. They’re paired with my iPhone 8 Plus, iPad Pro 10.5”, my MacBook Pro & my Apple TV. I bought a set just before Christmas and have not regretted it at all. I had a pair of Bluetooth headphones and I think the sound quality on the airpods is superior. I also like that I don't have the wire on my neck. I have an apple watch and can control the volume from the watch. I found the range that the airpods had was further than the Bluetooth headphones I had before them. I think it all comes down to personal preference but in my opinion it is worth the additional cost.